Does Greece Have a "Mickey Mouse" Sustainable Tourism Policy? Does Greece Have a “Mickey Mouse” Sustainable Tourism Policy? January 2005, five researchers at the University of the Aegean published (PDF)“Sustainability measurement in islands: The case of South Aegean islands, Greece.” Today, as we look at their observations over a decade ago, and question the progress that has been made to safeguard Greece’s islands for her people, and for posterity. The methods used so far for determining how we measure sustainable tourism may help us understand Greece’s “Mickey Mouse” tourism policies. So, as far back as 2005, the policymakers and the research that supposedly led them involved an understanding that there is a need for balancing these three dimensions. Unfortunately, those in charge apparently handcuffed or influenced academia to create flawed sustainability science. Given that the state, NGOs, and corporations fund most research, influencing outcomes is that much easier, I am sure. Fast forward to 2018, when we discover big business and government still describing what’s “sustainable” using abstract marketing and PR promotion. As for the “three dimensions,” the last decade has only been about economics. Social equity, as we all know, does not exist in Greece. And as for environmental conservation, here on Crete, a great many are doing good to forage for food. I am only being slightly facetious. All political and big business concerns aside, there are templates and case studies that could lead to more general solutions out there. Case in point, the microcosm that is Santorini. The magazine goes on to say “A new ecologically and financially viable tourism model needs to constitute a dynamic part of the Greek economy, without degrading the capital it is based on, i.e. the natural and cultural heritage,” which is what many Greece stakeholders “claim” is the goal. But claims are not hard evidence for salvaging the best future for Greece tourism. If we look at this “three pillars” approach to sustainability, we find the method has origins in Brussels and with the EU itself. Furthermore, if we examine how the EU set up measuring for “sustainability” we find the process was built to be an international model, and not tailored to local peculiarities. Case in point, the economical, social, and environmental approaches used by officials today. I’ll not linger here over the fact that business nor science can be completed without proper measurement. Unfortunately, the study of the ISTOS research will inextricably lead us to false conclusions. The study was flawed from the start when the case studies used were limited to the island of Kos and Paros were selected from among the many. Additionally, gathering evidence from within the silo of Local Agenda 21 participants, with no outside control, does not remind me of a high school experiment. The problem here is that each individual island has dependent and independent variables that sway localized results. Add tot his that policy is being made with an international model, and you can see how still more problems are created. Not only do we have ultra powerful drivers in place, but decisionmaking is also too far removed from each local need. a local-government-led, community-wide, and participatory effort. But, the case study selection was only between islands that showed an interest in LA21, so the scientists were facetious studying evidence that jumped in their faces. Talk about flawed methodology. Determining how to run a Swiss watch by engaging enthusiastic Goofys from local offices – no wonder Greece is messed up. 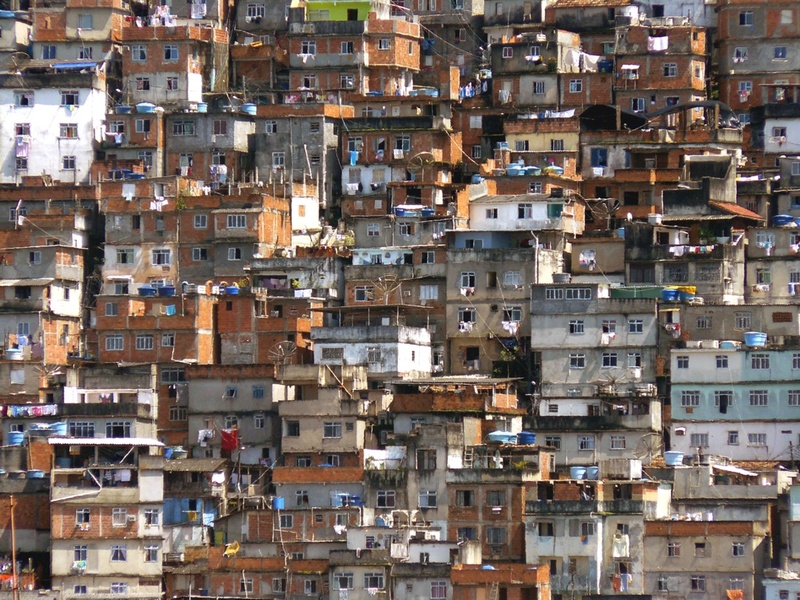 I wonder if this Rio slum is an example of sustainable growth? Finally, Local 21 was an offshoot of the 1992 UN Conference on Environment and Development held in Rio. Twenty-six years later and the UN still lauds Local 21 as “the path” – when clearly our road toward humanity surviving is anything but well lit. The UN has now amended Agenda 21 with the Agenda 2030 guideposts. I find it interesting, ironic, and wonderful if sincere, that TUI is one of this biggest supporter of Agenda 2030, the next phase of Agenda 21. I guess we can expect sustainable Greece and Crete to “GROW” according to their economics, and a monetary version of socio-environmental notions. My point is, we need an entirely new method of identifying problems, methods for addressing them, new and correct methods for measuring our progress, and a total balance in between the “three dimensions,” if these are the main facets of a sustainable tourism future. 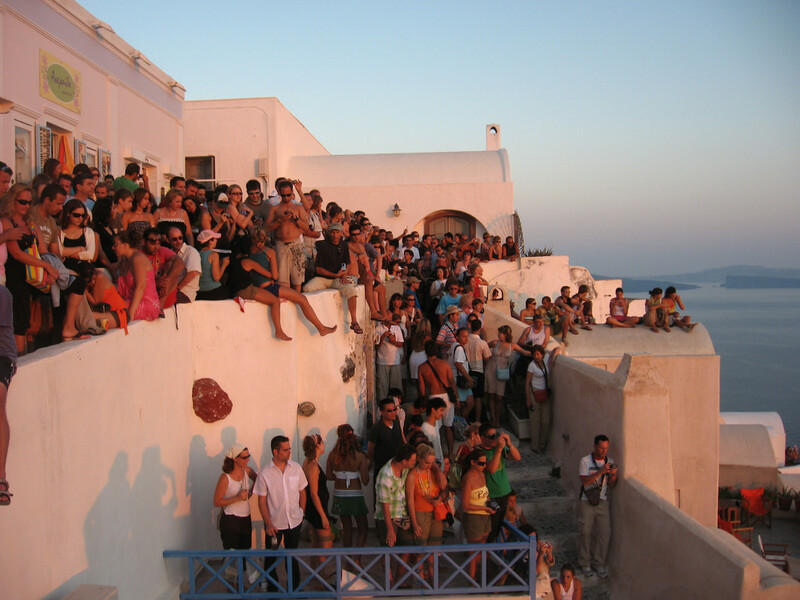 Previous: Greece’s Sustainable Tourism: Which Way to the Future?